HORSTED KEYNES WALK: (four miles) this Saturday (November 17) starts at 2pm. Meet members of the Footpath Society at Horsted Keynes Village carpark (Map Ref: 384 282). For more details call Diane Ellis on 01825723716. BARN DANCE: with the Touchstone Barn Dance Band is taking place at the village hall this Saturday (November 17) from 7pm to 10.30pm. The evening will be led by Mark and Val Orchin and raise funds for Wivelsfield Church. All ages are welcome to this fun evening. Tickets cost £10, to include a Ploughman’s Supper, are available from Paula Wood on 01444 471242. FLOWER CLUB: meet, at the village hall, on Wednesday November 21 at 7.30pm. The demonstrator will be Gill Homer and the subject ‘Christmas Creations’. Visitors are most welcome at a cost of £3 at the door. There is always a raffle giving a chance to win one of the demonstrators’ arrangements. For more details call Gill Wells on 01273 890561. HORTICULTURAL SOCIETY: are holding their Annual General Meeting and Social Evening at the village hall on Friday November 23 at 7.30pm. All members and non-members are welcome to the AGM and to enjoy a slide show of local countryside views by Reg Lanaway afterwards. Refreshments will be provided. OVER 60’S PARTY: takes place on Saturday December 8 at the village hall from 2pm to 6pm. Plumpton Scout Group are again sponsoring this event and hope to have your support for this enjoyable afternoon. Excellent entertainment has been booked and you will again be able to enjoy a delicious tea, including Christmas cake and a glass of sherry. Father Christmas will also be visiting. This will be a special festive afternoon and everyone in the village aged 60+ is invited to attend. If you need transport please call Rod on 01273 890410. LEWES HISTORY WALK: with the Footpath Society, starts at Phoenix Car Park, Lewes (Map. Ref. 420 103) at 2pm on Sunday December 2. The walk will take about two hours (depending on weather) and more details are available from Bernie Kempton on 01825 722649 or 07791247025. WOMEN’S INSTITUTE: meet on Wednesday December 12 at 7.30pm. Visitors and new members are always welcome, so do go along. For more information call Val Thompsett on 01273 891256. LEWES HISTORY WALK: (about 2 hours depending on the weather) with the Footpath Society takes place on Sunday December 2 at 2pm. Meet at Phoenix Car Park, Lewes (Map Ref: 420 103). For more information contact Bernie Kempton on 07791247025 or 01825 722649. 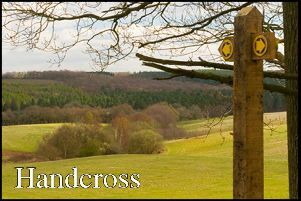 SHORTGATE CIRCULAR WALK: (six miles) with the Footpath Society is on Wednesday December 5 starting at 10.30am. It will be a fairly level walk with quite a few stiles and the field and woodland paths may well be muddy. Lunch will be about halfway round at Café Raystede. Meet at the lay-by adjacent to The Bluebell Inn/Wok Inn, Shortgate three miles north-east of Ringmer on B2192 (Map Ref: 494 151). For more details call John and Judy Lawrenson on 01273 472277 or 07815521068. LOCAL WALK: (3.5miles) with the Footpath Society to be followed by tea is on Saturday December 15 at 2pm. Meet at Ashcombe, Plumpton Lane, (Map. Ref: BN73AJ). For more details call Evelyn Botterill and Jean Eagle on 01273 890547 or 01273 890598. CIRCULAR ROUTE: (4 to 5 miles) taking in Downland views along the way is on Sunday December 30 at 10.30am. There will be moderate terrain with one steep climb of 100m towards the end. Meet members of the Footpath Society at Willows Car park, off Alfriston High Street (Map Ref: 522 032). For more details call John and Judy Lawrenson on 01273 472277 or 07815521068. CHRISTMAS CARDS: St Peter & St James Hospice Christmas cards can be purchased from Gill Gamble, in Westgate, Plumpton Green. To make arrangements call Gill on 01273 891218. JUMBLE SALE: is, at the village hall, on Saturday January 5 at 2pm to raise funds for the Bowls Club. There will be cakes, a tombola, toys, books, clothes, bric-a-brac and much more. There will be lots to rummage through so do go along, you may well find a bargain. Donations of jumble will be much appreciated apart from videos as these no longer sell. Please take jumble to the hall from 9am to midday.